Beyond the subcompact Rio and the compact Forte comes the Kia Optima midsize sedan. The 2019 Kia Optima is optimal as a sedan choice for many modern drivers as it represents the pinnacle of the Kia car catalog without upgrading to the extravagance of the 2019 Kia Stinger or the 2019 Cadenza for $10,000 more. Therefore, we’d like to examine both the complexities and the various capabilities of the 2019 Kia Optima. As we begin, do keep in mind that you can test any of our claims concerning the 2019 Kia Optima for yourself. Interested drivers can select any Kia model in stock from the Palmen Kia online inventory and schedule a test drive. If any model piques your interest enough, please consider the many lease specials featured below. Although additional specials are featured on different model pages, you can explore those concerning the 2019 Kia Optima midsize sedan here. Despite its build as a midsize sedan, the 2019 Kia Optima provides an incredibly safe and reliable driving experience with its suite of driver assistance features. Titled as Kia Drive Wise, this suite includes numerous technologies for a variety of contextual events, including but not limited to Driver Attention Warning, Forward Collision-Avoidance Assistance, Lane Change Assist, Smart Cruise Control, and Rear Cross Traffic Collision Warning. The clean, lean, and aerodynamic profile of the 2019 Kia Optima presents a fresh and stylish look without trying too hard. The iconic Tiger Nose grille of the Kia brand is applied with its own unique twist onto the Optima build along with all-LED lighting, customizable exterior accents, Sport design front and rear bumpers, and plenty of additional features to accentuate the Optima’s exterior style. If the standard 2019 Kia Optima sedan isn’t up to your liking, we recommend taking a close look at its more eco-friendly variants. Those would be the 2019 Kia Optima Hybrid and the 2019 Kia Optima Plug-In Hybrid. 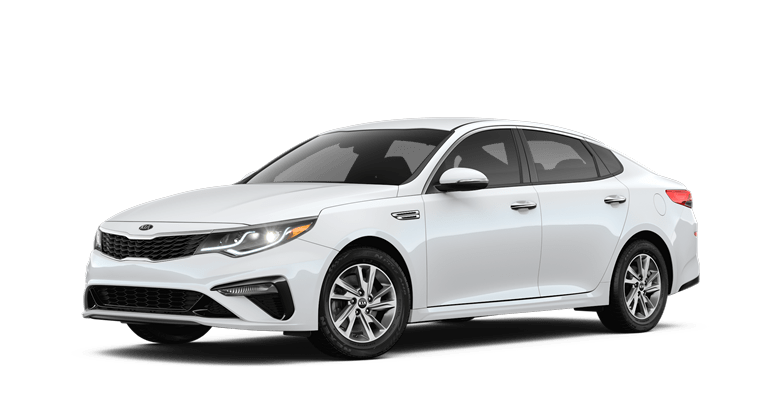 Having all of the features drivers love in the standard 2019 Optima, these hybrid models improve upon fuel economy, output combining engine and electric power, and even introduce unique, model exclusive features. 2019 models of the Kia Optima are currently available for purchase and financing here at the Palmen Kia dealership. To learn more about financing options that are available for each model in our inventory, please contact us. The Palmen Kia staff can be reached online, by phone, or at our dealership located in Kenosha, Wisconsin. We’ll make sure to find you the very best deal for whichever Kia model best suits your interests.